In July of 2014 a tragic fire in the Bruce-Grey region took the life of a father of three. He was killed while saving his children and their mother. 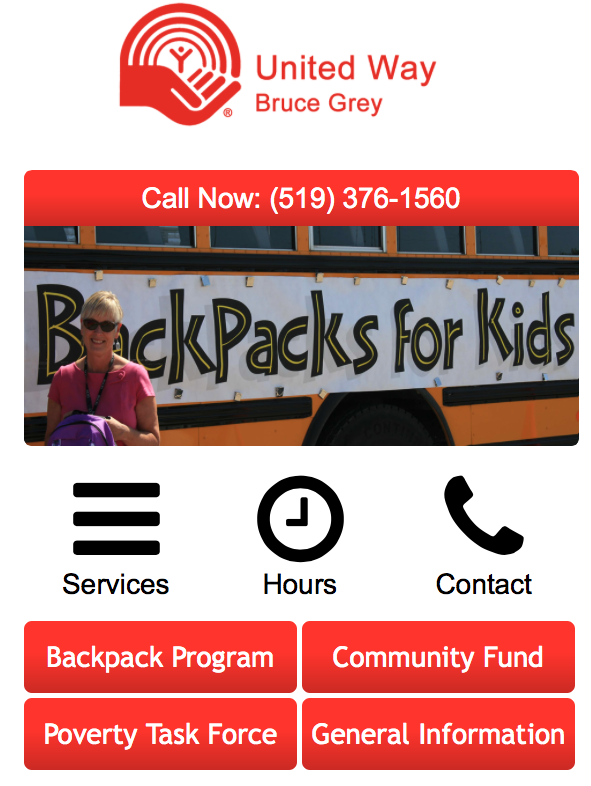 As is common in these cases, there were numerous needs to be met and the United Way of Bruce Grey took a leading role. Just days prior to this accident, the United Way implemented a new mobile web site that was assigned to an equally new domain name, donatetoday.ca. 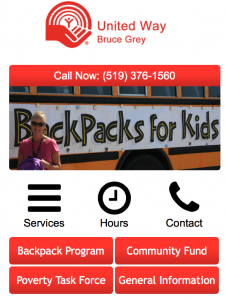 The initial thought was to promote the site for the United Way’s significant Backpack Program Drive. But with this emergency the United Way created a targeted button and page on the mobile site. The need for donations went out using social media and within hours, the site had received over 500 visits. Within 48 hours that number had risen to over 2,000 and with those numbers, thousands of dollars in donations came in. Many donations were just a few dollars but all were appreciated. Donatetoday.CA was created with the objective of reaching mobile Internet users by making the message accessible and facilitate donations – two technology components help make this possible. The web site is built on the BumbleBee platform, a unique browser-based system created by Owen Sound based Softext Publishing Inc. BumbleBee contains an easy to use, specifically mobile interface that runs on all popular operating systems: Android, IOS and Windows. BumbleBee sites include a small-format content management system making it easy for site-owners to update content quickly. The simple site design makes it easy for mobile users to get the message and respond easily. Donations placed through the BumbleBee site are processed through CanadaHelps.ORG a non-profit organization that provides processing and receipting services to non-profit groups. The value of this service is especially important when donations are small. CanadaHelps.ORG is able to accept donations to as little as $1.00 and although the average is much higher, it is important to provide a gateway for micro-donations. Small (micro) donations are increasing and may be the way of the future as cash-strapped younger people respond to the appeals from non-profits presented on the Internet and viewed on small, hand-held devices. Using the right technology, non-profits can tap a demographic segment not being reached through conventional methods. Donatetoday.CA is an excellent example of how the combination of an engaging web presence, tied to solid supporting technology can get results. Find out more about BumbleBee.